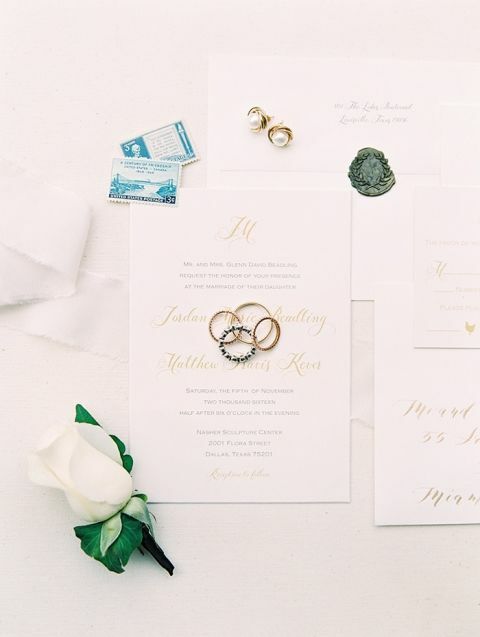 Today’s minimalist modern art inspired wedding is a perfect example of personalizing your wedding day! Jordan and Matt picked the contemporary Nasher Sculpture Center in Dallas as the backdrop for their wedding day, as it reflected their clean and modern tastes. 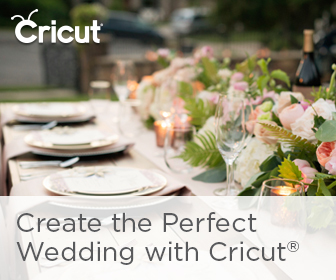 With the guidance of Keestone Events, they planned a gorgeous celebration that reflected their individual styles for a beautifully personal wedding day. Allen Tsai Photography captured every moment of their romantic fête! The beautiful sun drenched portraits from Allen Tsai managed to capture each breathtaking moment from this modern, monochromatic wedding. Jordan kept her style chic and clean with an all-white palette for every showstopping detail. 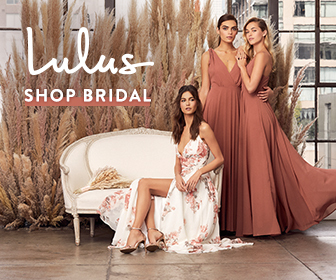 Her crisp silk faille Pronovias wedding dress sported a timeless structured silhouette with a high neckline that belied the plunging v-back adorned with a crisp bow and the perfect button detailing. 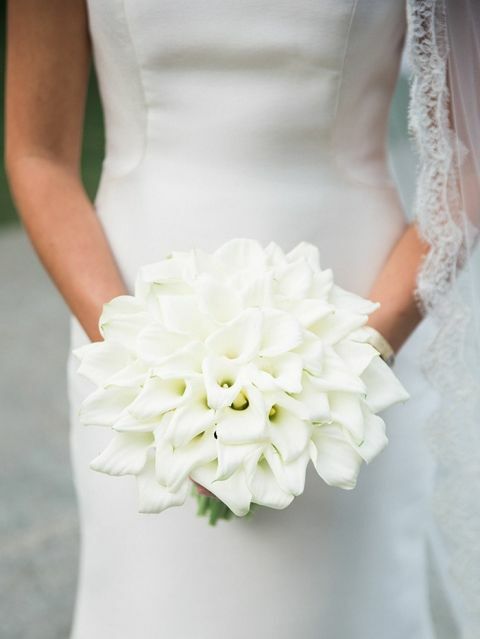 Her calla lily bouquet created a sculptural floral accent to the elegant gown. 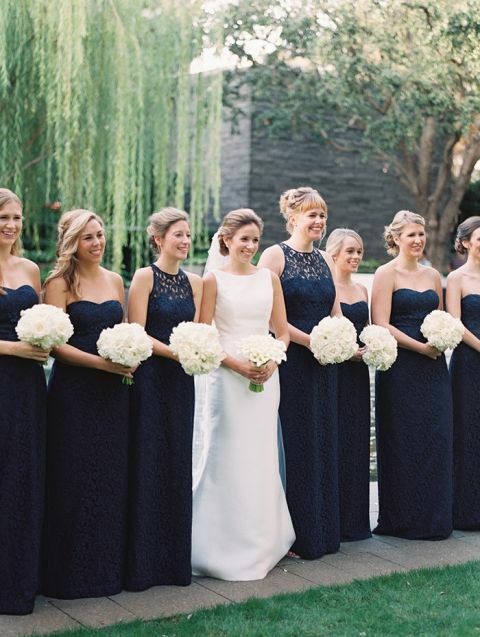 For her bridesmaids, Jordan selected navy lace gowns for a splash of rich and modern color. Matt and his groomsmen went for black tie to complete their stylish ensemble. Modern and minimalist were the watchwords when it came to styling their reception. String lights draped from tree to tree in the gardens of the sculpture center illuminated long tables set with clean white linens. Gold chased place settings and gilded goblets added a flash of metallic sparkle to the monochromatic floral arrangements, with singular groupings of white flowers clustered in structural centerpieces. Clear acrylic signs, from the hand lettered seating chart to an adorable guest book plaque, kept their minimalist aesthetic on point, while their cake added a hint of gold glamour from metallic brushed tiers. At the end of the night, masquerade masked guests tossed confetti on the newlyweds as they made their escape! What a Romantic wedding, love the couple, both are looking great! Great inspiration by the way.